I continue to receive questions regarding the direction of the market, to which I can only reply “I don’t know.” I certainly have thoughts about the factors affecting metals markets, but am not under the illusion that I KNOW where the market is headed. What I do know is that my money is best invested, in tranches, in the best companies in the sector. The best companies are led by the best management teams and, besides the pure exploration companies, are the owners of the highest quality projects. By high quality, I’m referring to their economics. The best projects have robust economics at today’s metal prices. It’s my opinion that when market sentiment does eventually change, the bull portion of the next cycle will be HUGE. Along with the supply shortages that I see in the fundamentals of most of the metals, the demand side of the equation looks particularly strong as, globally, the world begins to push toward electrification. With the short-term direction of the market hard to gauge, one avenue for investors who want to give themselves the potential to profit in the relative immediate future, is to look at exploration companies with a program happening now or in the near future. Like development companies, the best exploration companies are headed by the best management teams, who have chosen their exploration projects by a set of criteria which gives them the best possible chance at success. I highly encourage investors to meet, or at the very least call, the people who are running the companies with which they are going to place their money. 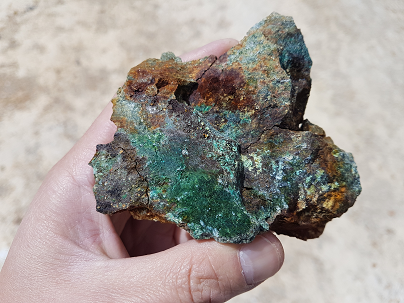 One of the questions that I think needs to be asked is how the company came to the conclusion that the project they are going to be exploring gives them the best chance at finding a mineral deposit of value. One company which has been one of my favourites for some time now is Adventus (ADZN:TSXV). They are developing their Curipamba project in Ecuador. While I’m looking forward to an updated PEA on Curipamba in the new year, it’s Adventus’ exploration potential with their Pijili and Santiago projects that has my full attention – and excitement – at the moment. #1 – Quality of the Management Team – Take a good look at the management team and any advisors or consultants associated with the company. Past success is a very good indicator of future potential. A good CEO should be able to clearly define the details, mainly the why and how of their upcoming exploration program. #2 – Jurisdiction –Typically, the regions with the highest potential for uncovering a high value mineral deposit are those which have the most associated risk. It’s imperative to do your due diligence and understand where you are putting your money. Know your risk tolerance – buyer beware. In what stage of exploration is the project? Has surface work been completed? Grab samples, soil samples, geophysics? Is the project drill ready? How were the targets chosen? Historical work on the project? Has the project already been explored by multiple companies? If yes, what were their results? Why should you expect anything different? NOTE: If a company is looking at exploring or developing a project that has already had a lot of work or exploration completed on it, the company needs to clearly outline how their exploration approach is different from the previous operators, and why it has a chance to be successful. #4 – Cash – Cash is especially important in the current market. Does the company have enough money to execute on the exploration program that they have planned? #5 – If unsuccessful, will I be able to sell? – This is an important question to answer and is partially overlapped with the previous point regarding cash. For me, I want to speculate in a company that will have cash remaining after their exploration program is complete in both positive and negative scenarios. An even better situation is to speculate in a company that will have cash remaining and an additional project(s) further down the development path, to which the market can assign value. In my opinion, you don’t want to be invested in a company that doesn’t have any money at this point in the market cycle, let alone own one with a recent unsuccessful exploration program. Let’s use the criteria I just outlined to look at Adventus. #1 – Quality of the Management Team – In my opinion, the Adventus team is as good as they come in the junior resource sector. 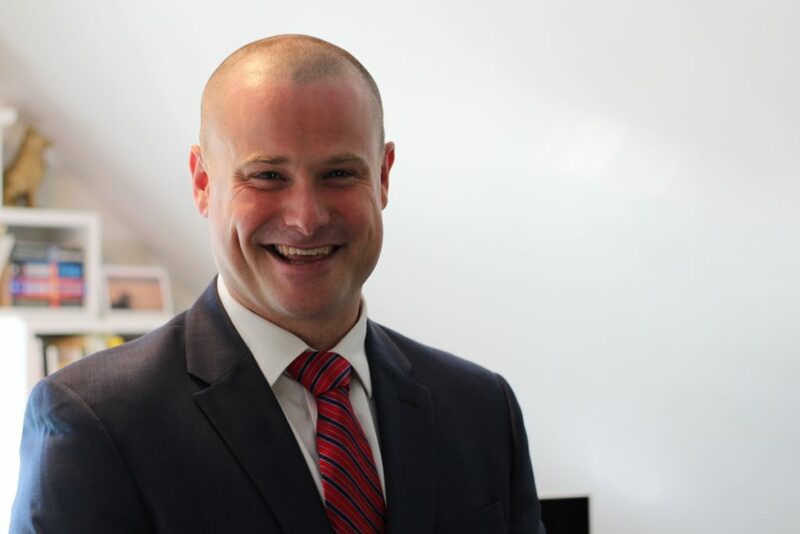 The company is led by CEO, Christian Kargl-Simard, who has over 14 years of experience in both technical and finance roles in the mining industry. Additionally, and core to the team, is VP Corporate Development, Sam Leung. Leung has over 10 years of experience in the mining industry, having worked for Lundin Mining Corporation prior to joining Adventus. Finally, and key to Adventus’ exploration efforts in Ecuador, is VP Exploration Jason Dunning. Dunning has over 20 years experience in the mining industry and has worked in a similar role for Alamos Gold Inc., Selwyn Resources Ltd. and Yukon Zinc Corporation. In addition to the main team, a major strength of the company, in my opinion, is in their association and close connection with Altius Minerals. For those who are unaware, Altius is both a diversified mining royalty company and mineral exploration project generator. Altius is headed by CEO, Brian Dalton, who is also Chairman of Adventus’ Board of Directors. Also, Dr. Lawrence Winter, Altius’ VP Exploration, is an advisor to Adventus and, in my experience, has a top notch reputation throughout the resource sector. People are key to the success of any company and, in the case of Adventus, I’m confident that this team will make 2019 a pivotal year in the company’s development. #2 – Jurisdiction – Adventus’ project exploration and development focus is in Ecuador. For those who are unaware, Ecuador has a rocky past when it comes to mining investment. In my opinion, however, it’s changing in a direction that is attractive to mining investment and is a place where I have invested my cash. Earlier this year, I wrote an article regarding Ecuador’s mining investment attractiveness; for those considering investment in Ecuador, I believe it’s a must-read. 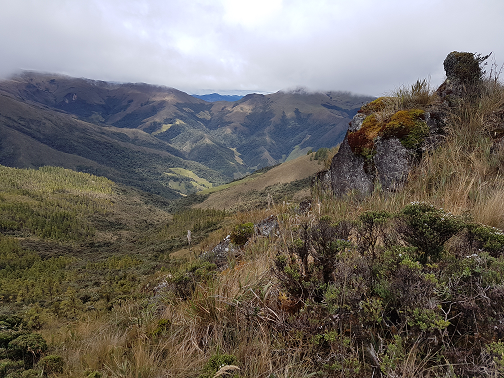 Adventus is in, what I consider to be, a highly advantageous position when it comes to exploration and development in Ecuador; they are partnered with Salazar Resources, a junior resource company led by a senior Ecuadorian management team. The Curipamba project was the first deal on which the two companies partnered, giving Adventus the opportunity to earn-in on 75% of the project, given development and payment requirements over a 5-year period. Since this initial deal, Adventus and Salazar have expanded their relationship into an Ecuador-wide exploration Alliance. The Alliance ownership is 80% Adventus and 20% Salazar, and allows the Alliance Board, which is made up of Sam Leung and Jason Dunning of Adventus, and Fredy Salazar, to pick and choose what they feel are the highest potential projects, and bring them into the Alliance for exploration and development. The first project to be brought into the Alliance is the Pijili project, which was granted to Salazar by the Republic of Ecuador. 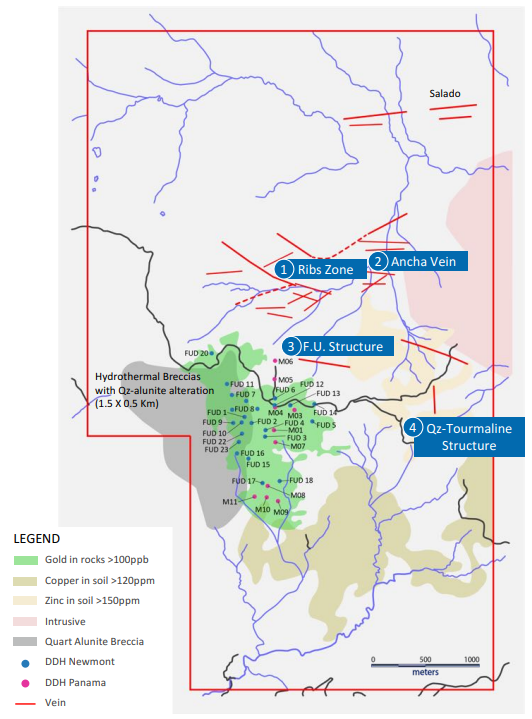 The Pijili project consists of 3 concessions totalling 3,246 hectares, and is located in the Ecuadorian province of Azuay. Its potential has been revealed only through the legally permitted artisanal mining which is currently taking place – exploration through modern techniques has yet to take place. Artisanal miners are mining precious metals bearing structures via several small open pits and underground tunnels. Also, Salazar notes that there is visible evidence of copper mineralization along the walls of the small open pits. Pijili presents a blank slate for exploration, one that I believe holds a ton of mineral potential. 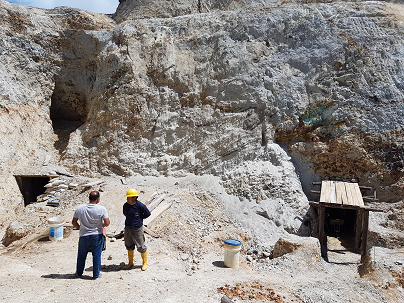 The second project brought into the Alliance is the Santiago project, which is roughly 110 km west of Lundin’s Forte del Norte gold deposit. Santiago consists of a single concession, which covers an area of 2,350 hectares. Unlike Pijili, Santiago has seen the use of modern exploration techniques, which has exposed a series of vein occurrences. The occurrences have yielded good reconnaissance chip sampling results. Here are a few highlights, which can be found on Salazar’s website and SEDAR. In addition to the chip samples, Santiago has seen historical drilling on the project by a previous operator, Newmont Mining Corporation. The historical results are very intriguing as they exhibit characteristics of a Cu-Au porphyry system. I must, however, caution anyone from drawing any conclusions from these results as they are not confirmable – the drill core is unavailable. As mentioned earlier, Adventus has announced an airborne MobileMT geological survey of Santiago, which will assist the exploration team in identifying the highest potential drill targets. Personally, I will be watching for news from the airborne work and the targets that Adventus decides to pursue. In my opinion, there’s a lot of potential here. #4 – Cash – In Adventus’ current corporate presentation, the company lists their cash position as $10 million, as of October 30th 2018. Given the current market dynamics, this is a great position to be in. Additionally, I might add, Adventus has enjoyed the uncanny ability to raise money through this bear market portion of the resource cycle, which I expect will continue in the future. #5 – Downside Risk – Currently, as an investor of Adventus, I believe the biggest risk to my capital comes from the jurisdiction – Ecuador, for reasons I outlined in my article. While there’s risk of failure in exploration at Pijili and Santiago, I don’t see the stock price taking a big hit for failure. Given the MCAP and the value I assign to Adventus’ assets, I see little to no value assigned to exploration upside at Pijili or Santiago. Furthermore, given Adventus’ cash position, their access to funds and the assets they hold under management, I believe the risk to reward potential presented by the exploration is fantastic. The end of the year is upon us and with it typically comes a great opportunity to buy the best junior resource companies at a discount. While no one can predict the direction of a market with any consistency, buying the highest quality companies, with catalysts for share price appreciation, puts us, in my opinion, in the best possible position to profit. To me, Adventus is one of those high quality companies that give the investor multiple avenues for success. First, you have their flagship Curipamba project, which should have an updated PEA early in the new year. Second, you have their high potential exploration projects, Pijili and Santiago, whose upside potential, in my opinion, hasn’t been factored into Adventus’ MCAP as of yet. Third, you have Adventus’ portfolio of Irish projects, for which they are actively looking to find a JV partner. Finally, you have Adventus’ large stake in Canstar Resources, who will be beginning their inaugural exploration program on their Newfoundland based projects next year. Disclaimer: The following is not an investment recommendation, it is an investment idea. I am not a certified investment professional, nor do I know you and your individual investment needs. Please perform your own due diligence to decide whether this is a company and sector that is best suited for your personal investment criteria. I do own shares in Adventus Zinc Corporation. All Adventus Zinc Corporation analytics were taken from their website and press release. I have NO business relationship with Adventus Zinc Corporation.